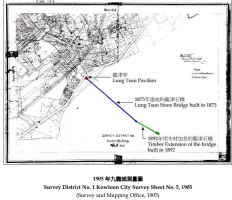 HF and Mike T: The following are extracts taken and adapted from the Conservation Management Plan for the Site of Lung Tsun Stone Bridge linked in full below. 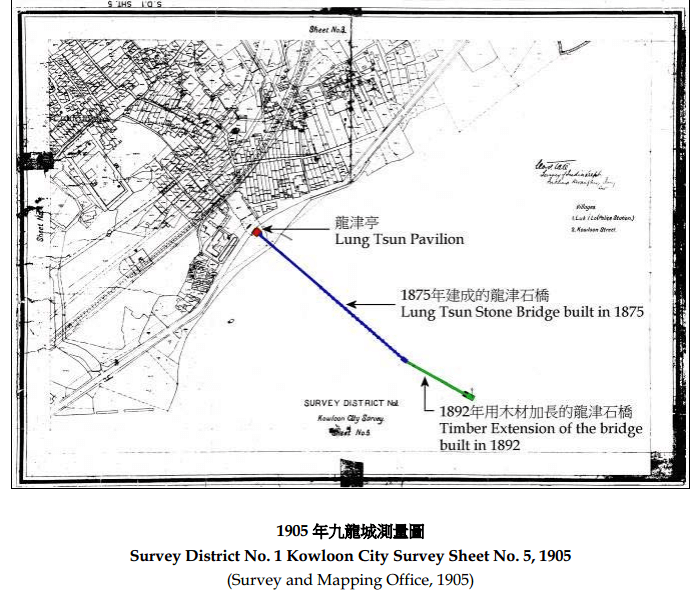 The Lung Tsun Stone Bridge was a pier built on the coastline of the old Kowloon City. The bridge (龍 津 石 橋 ) linked the main gate (East Gate) of the Kowloon Walled City (九 龍 寨 城 or 九 龍城 ) and the Kowloon Street (九 龍 街 ) to the coast in late 19th Century. According to the text records of two stone tablets about the origin of Lung Tsun Stone Bridge, this stone bridge was first constructed between 1873 and 1875. It was originally about 210 metres in length and from 2.6 to 4 metres in width. Later, a wooden extension of about 80 metres was added in 1892 with a slightly different orientation. The Site was partly buried by Kai Tack Bunds in 1920s. 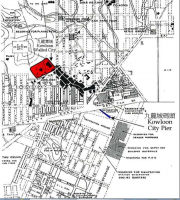 A 1930s map revealed most of the Bridge buried by the Kai Tack Bund and its wooden extension no longer existed. 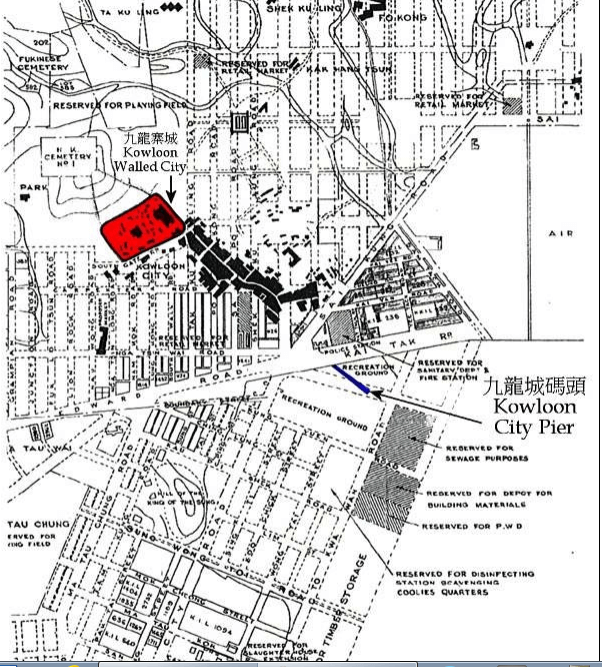 The Site was completely buried by Japanese Army in 1940s to extend the Kai Tak airfield. Before the relocation of former Kai Tak Airport, the northern part of this Stone Bridge was overlaid by Terminal Building and its southern part was buried underneath the north apron of Kai Tak Airport. In April 2008, the remnants of the Bridge were first identified during an archaeological investigation under the Environmental Impact Assessment (EIA) study for the Kai Tak Development (KTD). Further investigation to ascertain the extent of Bridgeremnants and in-situ preservation of the Bridge remnants were recommended in the approved EIA report of KTD.